Whether it's due to rough weather conditions, an accident, or problems under the hood, when your vehicle is unable to be moved, it can leave you stranded. In these situations, it's important to have service professionals you can rely on to answer your call, respond to your location and provide an efficient solution. The next time you need to find "towing near me", Prosco's excellent car towing services can provide you with the experienced and reliable professionals that you can count on every time. When a car accident occurs, there are so many problems you must solve all at once. If you or anyone else is injured, they may require medical transport or hospitalization. If vehicles are unable to be driven, they must be moved safely and to an appropriate location. You have to call your insurance company about damages and further proceedings. And you often have to make a statement to police. With all of these matters needing your attention simultaneously, you can quickly become overwhelmed. At Prosco, we know how traumatizing and disorienting an accident can be and we want to make the process as simple as possible for you. Just call us and give us your location; and we will response quickly to get to work. Our professionals have lots of experience clearing accidents and can often help answer questions you may have while they are on the scene. 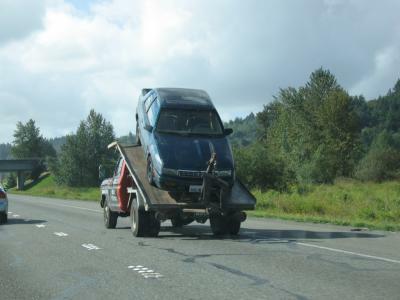 Once any involved officers have cleared the vehicle for removal, we can take your car to whatever auto shop you need or if your car is totaled, we can take it to a salvage yard. We want to make vehicle wrecks less stressful in any way we can. If your car has ever stopped working while you were driving or become so overheated that you had to pull over, you know what a mess it can be. Usually you are on your way to an engagement that is important and suddenly, you are stuck on the side of the road. Not only will our tow truck operators respond to you quickly wherever you are, but our professionals usually carry basic car maintenance items for flat tires or coolant for overheated cars. If there are simple solutions that they can help with, they are happy to do so. Many of our service professionals have experience with vehicles and may also be able to help you figure out the problem with your car. And they are happy to offer their expertise as well as take your car wherever you need it. If you're stuck in the mud, heavy snow, or can't get traction on ice, we have the equipment to help remove your vehicle and get you back on the road. Severe weather conditions can be dangerous, so we know how crucial it is to get to you quickly. Additionally, if you're in hazardous weather at night, standing on the side of the road in the dark during these conditions can be dangerous. Remember to get a safe distance from roads when visibility isn't good or cars aren't getting traction on roads and we will get to you as soon as we can. Because Prosco is made up of a network of professionals located coast to coast, we are proud to offer services to all regions. And since our service professionals are located in cities and towns near you, they know they area well and can provide customized knowledge of your area. Smaller towns may have country roads that are difficult to find, making it hard to locate you for help. Our towing professionals know their surrounding areas well so they can find you even on small back roads. And we tow vehicles of any size, as we have the proper equipment for the removal of even the largest vehicles. We are happy to provide quick reliable services and can usually get to you in about 20 minutes. 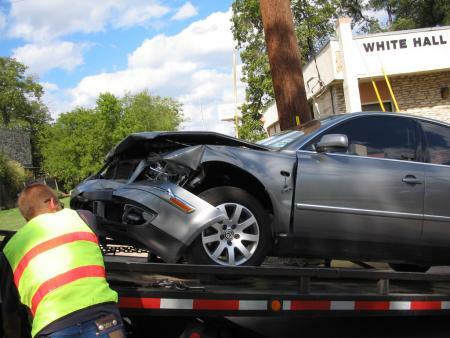 * We are a 24 hour towing service so we will respond day or night, even on holidays. When you need a reliable tow truck company, contact the professionals at Prosco for fast, efficient, affordable help. * However, situations where an accident has caused impassable traffic or weather conditions have caused an influx of cars needing assistance in your area may increase response time of towing and emergency vehicles.